The historic Bishop Twin Movie Theater, as it stands today, has been an entertainment venue for Bishop and Eastern Sierra audiences for almost 100 years. On the outside it appears to be little changed from its beginnings in 1925, but the two theaters have state-of-the-art digital screenings, up-to-date sound systems and comfortable seats with plenty of leg room. The theater shows first run movies daily with two show times each evening, Monday to Friday, a matinee and two evening shows run on Saturdays, and Sunday showings are a matinee and evening show. Two new movies are screened each week starting Fridays with the occasional big blockbuster running an extra week or two. Bishop Twin Theater at left just beyond Joseph’s Market. 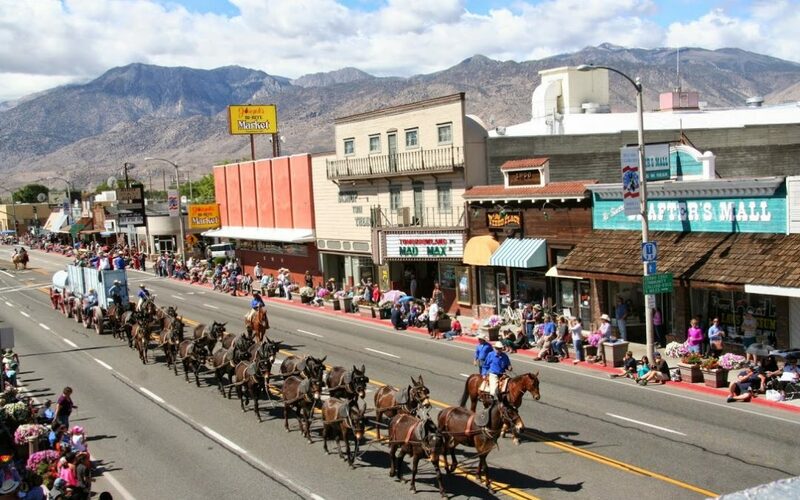 Movie magic in Bishop started in the early 1900s after Harry Holland passed through Bishop as an entertainer with a travelling Chautauqua show. He liked Bishop so much that he quit the show and returned to Bishop where he opened the Bishop Gem Theater in the building that is now Rusty’s Saloon. He used hand cranked projectors and thrilled audiences with the latest films. One film in particular became a favorite for a scene of a train rushing head-on toward the audience. Moviegoers would scream, and Harry would back-crank the projector and run it at them again. This is one of those wonderful movie experiences where you can decide on the spur of the moment to go see a show. Residents and guests in town can stroll or cycle the few blocks from nearby residences and lodging facilities with ease and in complete safety. Late summer’s evenings can be cool and dusky, and a winter’s night is usually sparkling and invigorating. The drive to town from outlying neighborhoods, lodgings, and campgrounds takes just a few minutes and parking is quick and free, just around the corner from the theater. Ticket prices are inexpensive, and the concessions sells freshly popped, hot buttered popcorn, candy, sodas, and other typical movie treats – at yesteryear’s prices. In 1918 Harry Holland bought the old Opera House in Bishop, where the Masonic Hall is located today at 156 East Line St. In addition to the movies Harry screened there, he hosted all sorts of entertainment from dances to musicals, theatrical presentations, banquets and even basketball games. Kids sat on benches near the front for stage shows and adults were seated further back on folding chairs. The balcony held the projection booth and box seats along the side were sold at a premium. The three-story building also had large meeting rooms on the upper floor, offices on the second floor with the theater and ballroom space taking up the first floor. The entire building was made of wood and in 1924 it went up in a blaze of fire so hot that it melted the windows of Harry’s new concrete house next door. The flames also consumed a few nearby businesses, but fortunately no casualties were sustained. Soon after the Opera House burned down, Harry and his wife, Belle, found their new movie theater location on Main Street, right where it is now. Movie magic in Bishop was only interrupted for a short time. They began again with one screen and soon expanded the venue to house two screens. The Bishop Twin Theater has been in business ever since. Harry Holland was especially fond of children. He never turned a child away for lack of funds, and during the depression he often let folks in free of charge. Halloween was a special time at Holland’s theater and Halloween shows were screened for free for kids. The marque sign would invite the “youngsters” with “no room for oldsters”. There are seldom long lines for tickets or concessions, making a movie night in Bishop a happy, stress-free family fun outing. It’s casual and friendly and a night at the movies for two adults and two kids, with a few treats, might cost just a little over $40. Now that’s a good old-fashioned deal. At the time the Opera House burned down, a projectionist by the name of Jack Foley was employed by Harry Holland. Jack Foley is the Foley in Foley artist. 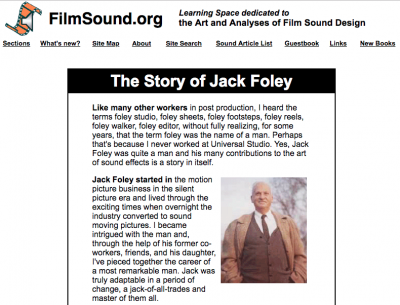 Movie buffs may be familiar with the many Foley arts; Foley sheets, Foley footsteps, Foley reels, Foley walker, Foley editor and Foley studio. “Foley is the audio recording of a synchronous performance of an action or effect seen on screen by a Foley artist.” It is art of sound effects for motion pictures. Jack Foley was born and raised in New York and attended Public School No. 158 at Coney Island. One of his classmates was James Cagney and he met Cary Grant who was a stilt walker at Coney Island. Jack moved to California in search of better weather and was soon working in the movie industry as a stunt double. 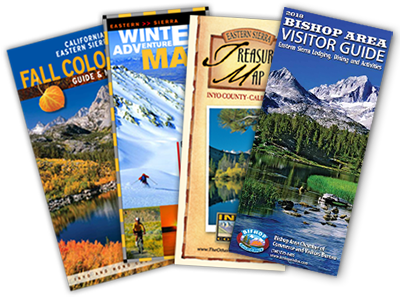 Soon he discovered Bishop and the Eastern Sierra and so began a lifelong love affair with the Owens Valley. He moved to Bishop and raised his family here. Jack worked in a local hardware store and at the Opera House theater. He was also a columnist for the Inyo Register and a regular contributor to Universal International Studio Club News. He maintained his movie studio contacts and it was his ingenuity that brought natural sound to films at the very beginning of the “talking movies”. It is a trade that continues to this day. It’s always a good time to go to the movies. Escape from the summer heat or warm up on a frosty winter evening. Sometimes you just a need a comfy, dark space to relax and be entertained. One that thing hasn’t changed in all the years of movie going is … it’s a great place be with someone special. Start or end your evening with a meal or treat at one of the many downtown restaurants and bars. Many establishments offer outdoor seating, which is deliciously comfortable on a warm summer night. Some have light and bright interiors and others are dark and romantic. There’s a world of good food available in Bishop to complement your movie night any time of year. Jack Foley was one of the first people to recognize the potential of the Eastern Sierra as a filming location and, with the support of Bishop’s shop owners, he created a publicity campaign to entice Hollywood film makers to Bishop and the Eastern Sierra. He became a location scout and brought numerous productions to film in the Owens Valley. The region continues to be a favorite and convenient location for Hollywood movie makers. When films were being shot in Bishop, the crews would stay in downtown lodgings for the duration of the shoot. The footage from each day would be sent down to Los Angeles for processing and returned the next morning for review. 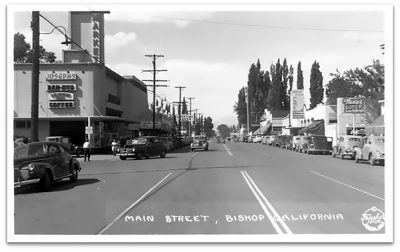 Each afternoon the stars and crew would watch the rushes from the previous day in the Bishop Theater and then go out on the town for dinner and drinks in the local eateries. 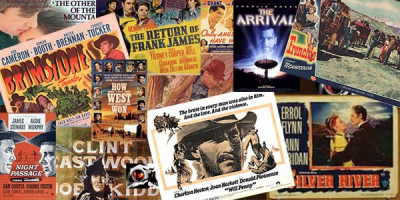 Check the list of movies made in the Eastern Sierra here – courtesy of the Museum of Western Film History in Lone Pine. The Bishop Twin Theater is located at 237 N. Main St. in downtown Bishop. Convenient and free parking is located just off Main St. on Church St and an adjacent lot. Find out what’s currently showing at Sierra Wave Online.